What does vision have to do with learning? Aside from needing to see the blackboard in class, I never thought much about the connection either—until I encountered a behavioral optometrist who administers vision therapy to improve people’s learning abilities. Many of his patients are children diagnosed with the elusive “learning disorders”—Attention Deficit Disorder (ADD), Attention Deficit and Hyperactivity Disorder (ADHD) and dyslexia—and the therapy works well in many cases. As an alternative to drugging the children, it seemed worth looking into. 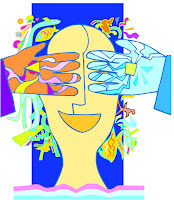 I quickly learned that vision therapists distinguish between “eyesight” and “vision”: Eyesight is the ability to see; vision is a process that integrates the sensory and motor functions of the brain and the body. Importantly, vision is a learned process that develops over time along with the child’s learning abilities. With optimum development, vision becomes an accurate navigational system (for example, our eyes guide our hands, when catching a ball). Exploring how all this relates to the astrological Sun (and its planetary entourage) has been intriguing. I hope what follows will inspire dialogue and someday, a coherent astrological model for learning and its challenges. Serious research remains to be done, of course, to test its validity with an appropriate sample of natal charts and case studies: To that end, I welcome input from interested parties. I believe the astrological community can offer important insights for any discussion on learning. Building the field of consciousness on a clearly formed structure centered accurately in the ego is like building a perfect eye with the power of precise focalization through the lens and the eye’s muscles, so that the image reflected upon the retina falls exactly on the “yellow spot” of the retina which alone is endowed with full sensitiveness to light. 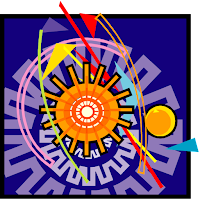 It is what the great eye specialist and philosopher, Dr. Bates, called ‘central fixation’…If thus the chart axes represent the structure of the field of consciousness—the structure of the “eye” symbolically—the Sun stands for the “light” releasing the energy (the photons) by means of which vision is made possible. In a real sense the eye as an organ of vision is molded structurally by the nature of the light. Amazingly, our optical system operates something like a camera (see Figure 1 below); it is comprised of the lenses that take in light, capture and focus images, which are then “developed” in brain chemicals, processed in thought along neural networks, stored in memory and projected on our inner “screens.” In a very real sense, our optical system bridges the outer world (the Sun’s actual light) with our inner world (our capacity for transforming light into vision). It gets better. The Hermetic principle (“As above, so below”) provides a metaphysical equivalent to every physical organ. Hence, our “inner eyes” are the “lenses” of our Souls, drawing in spiritual light and bridging our inner world with the world of Spirit. 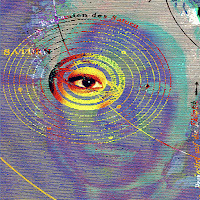 In fact, vision, as a faculty of the astrological Sun, links all levels of our being—from physical eyesight, to mental understanding and viewpoint, to transcendent/spiritual insight and creative/psychic “second sight.” Whether we are conscious of it or not, we are all creative “visionaries.” This has critical implications for learning. Ease with near-far focusing adjustment; refined visual tracking and “jumping” from point to point (e.g., connecting the dots); refined hand-eye coordination and vestibular (balance) sense; beginning image manipulation (visualization) and visual memory. 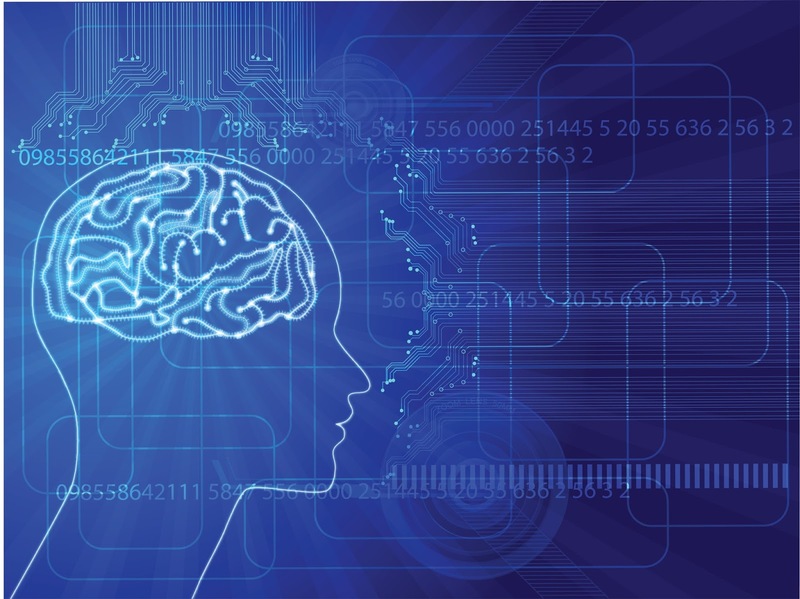 Refined visualization and visual memory; strong visual learning capabilities. Structural and neurological refinements (such as developing neural networks or strength in the spine and legs) happen rapidly during the gross motor stage. The so-called “pre-school” visual/learning skills—recognizing and matching shapes and colors, letters and numbers, following lines with a crayon, pointing, counting and distinguishing “same” from “different”—are typically acquired during the latter portion of this phase. The challenges of the “3Rs” (reading, writing, ‘rithmatic) are taken on during the fine motor stage. Gross motor skills continue to be refined during the fine motor stage, but the dominant learning mode gradually shifts from tactile (touching) to verbal/auditory. This shift usually improves a child’s attentiveness when the teacher is speaking; the need to touch everything and move constantly is less urgent. In this mode, children typically understand material better when it’s spoken out loud (even by themselves). Many learning difficulties arise from children getting stuck in these two stages, trying to use tactile/kinesthetic, or verbal/auditory skills to accomplish academic tasks better suited to more advanced stages. Oculomotor skills develop along with the fine ocular muscles controlling eye movements; typically, these are the last set of muscles to develop. These skills, once acquired, free the child to learn and comprehend by sight, rather than by touch or sound, and this is essential for academic development. Getting to this level of development begins at birth, however. Since real conditions often fall short of ideal, learning deficits can result. This suggests the Sun’s rulership of overall, integrated brain function and thus the “process” of vision/learning in question: The Sun’s light energizes brain function, stimulating consciousness and, therefore, vision and learning. Vision develops along with the rest of the body, making it a collaborative astrological affair—like our Solar system. The Sun rules the overall system; however, each part (planet, etc.) plays a role. Gross motor development seems to primarily involve the personal planets: Mercury, Venus, Mars, and the Sun; fine motor development adds Jupiter and Uranus to this list; and oculomotor development incorporates Neptune. The more complex the visual/learning skills are, the more complex the planetary mix is. These correlations will be discussed in more depth later. The Moon and Pluto affect all stages through their impact on fluids (tears, aqueous and vitreous fluid in the eyeball), hormones and emotions. Saturn, as ruler of dense bodily structures and the skin, governs the protective, bony eye socket and likely, the eyeball’s outer covering (cornea, etc.). Along with Jupiter, Saturn also regulates the pituitary glands and, hence, the growth process itself. Medical astrologer Jane Ridder-Patrick suggests that Uranus—responsible for connecting spirit and matter—co-rules and coordinates the central nervous system, along with Mercury. I would add to that the corpus callosum, the bundle of nerves connecting the hemispheres of the brain. Ridder-Patrick also notes that the eyes (the organs alone) are traditionally thought to be ruled by both Sun and Moon: the right eye of a man and left eye of a woman by the Sun; the left eye of a man and right eye of a woman by the Moon. Not surprisingly, this suggests a role for emotion (i.e., when angry, we “see red”). It also accounts for tears hydrating our eyes (Moon rules water), and the connection of tears with emotions. The Sun/Moon rulership also mirrors the interplay of yin and yang in vision and visual learning. Vision is both passive (receptive) and active (projective): like our “camera,” our eyes receive light reflecting off objects in our field of vision; in the retina, this light is converted into electro-chemical signals, which are transmitted via the optic and other nerves to various areas of the brain. The brain sorts through, interprets and refines (all active processes) the image it will then project on our inner “screen;” all of these are active processes. The brain does all this at the speed of light, of course! 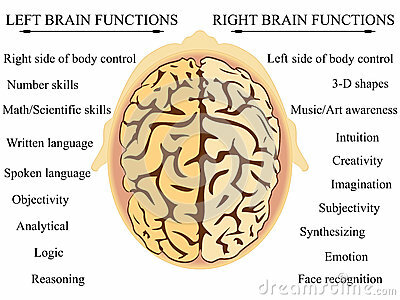 The brain’s cerebral cortex (see Figure 2 below) is roughly 80% concerned with visual processes; the brain, in fact, operates like a symphony orchestra, conducted by il Maestro, the Sun. In an orchestra, the quality of each player’s contribution is critical, but the overall impact ultimately determines whether people leap to their feet cheering, or just clap politely and leave. 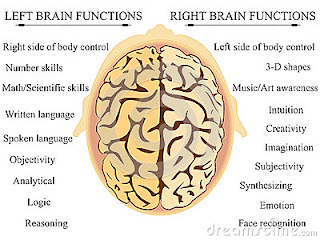 In terms of visual/brain function, the primary “players” are the actual organs of the eyes, their associated musculature and nerves, and the processing and feedback centers of the cerebral cortex (spanning both brain hemispheres). Mercury and Jupiter are thought to be the primary rulers of the linear thinking, logical left cerebral hemisphere; Venus, Jupiter and Neptune (with Mercury’s help in carrying messages), appear to rule the intuitive, imagistic, pattern-seeking right hemisphere. The Moon, as discussed, impacts both hemispheres with its effect on brain “chemistry.” Uranus is involved throughout, helping Mercury to coordinate everything. Mars rules muscles, including those dedicated to eye movements, although Saturn and Jupiter get involved in contraction and expansion. Venus plays a complex role: Ridder-Patrick points to connections between kidney disease and diabetes; vision problems can result from both, possibly related to Venus’ rulership of the venous system (veins). It is likely that Venus also rules the vestibular nerve, which sends sensory signals to areas of the brain that govern balance. Improving balance often improves visual function. Finally, in Venus’s compatibility with Jupiter and her role as the lower octave of Neptune, it seems Venus manifests Neptune’s more nebulous right-brain image production and pattern sensitivity—hence, her importance to all three developmental stages. Even pre-schoolers learn to make simple analogies and recognize patterns. Later, artistry evolves with visual function; a person with advanced oculomotor skills can acquire a refined “eye” for balance and composition that fits Venus’ profile. Besides organizing, supporting and regulating visual function, Saturn grounds our visions in the “real world,” providing us with a culturally-conditioned inner censor (more on this under the issue of belief). Saturn is perhaps also linked with eye diseases such as macular degeneration. According to Ridder-Patrick, Pluto is associated with the amygdala, or primitive “reptilian brain,” and interacts with the hypothalamus (ruled by the Moon); as such, the amygdala keeps us alert to danger, produces defensive behavior and unleashes volcanic emotion. I would add dread and paranoia (Pluto’s skewed vision) to the list. The reptilian brain is also the source of vivid, paralyzing images held in long term memory—the type that intensive therapy works to transmute and heal (Pluto!). As illustrated so vividly in What the Bleep Do We Know?, fear, rage and defensiveness shut down or severely hamper a person’s ability to envision (and thereby create) a positive reality. Intent/focus: the active, concentrated ability to direct what we choose to see, ruled by goal-driven Mars and disciplined Saturn. 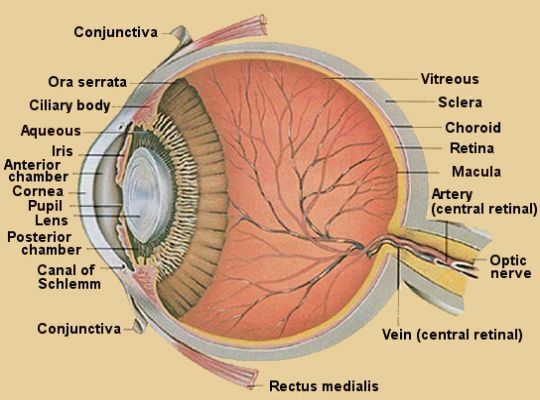 Interestingly, the lens of the eye, which is adjusted by the ciliary muscles (Mars) to focus appropriately, is a crystalline (Saturn) structure. Comprehension: the ability to understand what we are seeing, ruled by Mercury and Jupiter. This is distinct from “gut” instinct and intuition, which are more related to Moon-Pluto and Neptune. Belief: the tendency to see selectively only what we “have eyes to see,” ruled by Jupiter and Neptune (with some interesting input from Saturn). Fundamentalism (which takes various forms, but always seems to include a willful blindness to all but one point-of-view) implies Neptune’s and Pluto’s involvement. Imagination/creative visualization: the ability to mentally manipulate images, to create inner visions and connect disparate realities in unique ways, ruled by Neptune and supported by Mercury, Venus, Jupiter and Uranus (“Eureka!” experiences). 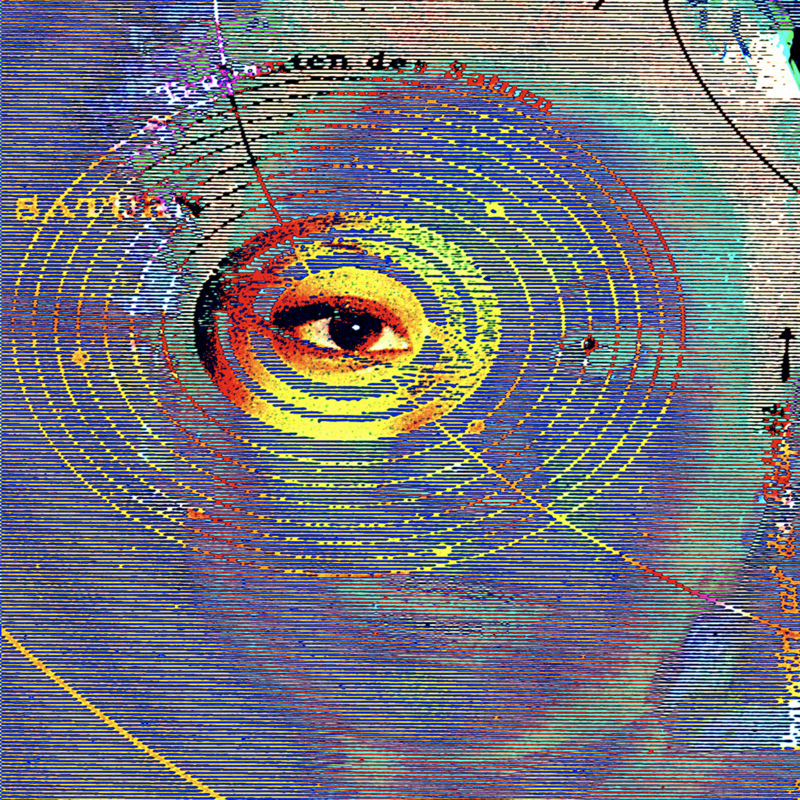 Psychic attunement (also called “second sight”): the ability to tap into the collective “mindfield” and capture information, often in the form of imagery. The pineal gland (ruled by Neptune) is thought to be involved with psychic ability; this gland is known to be light sensitive. “Gut instinct” seems associated with Moon-Pluto. Again, support comes from Mercury, Venus, Jupiter and Uranus. Vision also links the various dimensions of human life, from individual to collective. Cultures have always been sustained by “visions” that incorporate worldviews and belief systems. For some, vision quests are essential, an initiation into adult status in the culture. The initiate is imprinted with the vision, often earned heroically, which fuels his or her being (Sun) with purpose from then on. Such visions tend to fit cultural expectations and ideas. For instance, Native American visions might involve Spirit animals, or the four sacred directions. Those who have been culturally conditioned to see angels with wings will see angels with wings. If visions connect a person with Spirit, why shouldn’t Spirit choose to communicate in a personalized symbolic language? Through its symbol-making and unique spin on universal archetypes, a culture forms a consensus reality that defines it. In today’s global culture, however, individuals are defined less by the worldview of their ethnic or tribal groups, families or local communities. Big Media literally encompasses all, casting a Neptunian spell that routinely neutralizes or co-opts culture-related self-images, serving up pre-packaged images in their place. Not all media influence is negative, of course—Neptune’s waters can relax and heal, but they can also swallow us whole. What does it mean to lose the ability to produce our own visions? 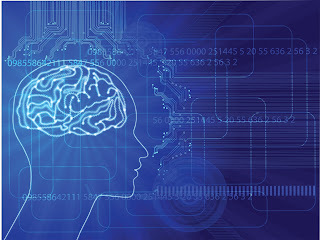 To begin with, three important skills may be impaired: 1) visual thinking—the ability to manipulate visual scenarios in your mind (a highly efficient way of processing information); 2) visual memory—the ability to recall learned material; and 3) visualization—the ability to use the “mind’s eye” to conceptualize and manipulate ideas. The latter is an important creative skill, with spiritual implications. We literally bridge Heaven and Earth with our vision-making capability. Bridges connect or “mediate” two realities; hence, the term “media” for the global electronic web ruled by Mercury-Uranus (low tech/high tech). As a bridge with the world-out-there, media can promote a positive sense of global collective identity (Uranus); the 2004 Indonesian tsunami relief effort illustrated this well. However, the media that literally hijacks our awareness with seductively “real” imagery and illusions (i.e., this past year’s epidemic of “fake news”) is Neptunian. With relentless repetition, Neptune’s media images and messages become our reality, unless we have a basis for comparison. Unfortunately, media images are easily manipulated—the film Wag the Dog made that eerily clear. Pluto and Neptune work together frighteningly well in this arena. Basically, whoever controls collective vision—the media (campaigns waged on Twitter? )—controls consensus reality. Astrologically, the usurping of our ability to form independent images amounts to an assault on the Sun. This assault has very real consequences for learning. For instance, millions of American kids are medicated with psychotropic drugs (Neptune), aimed to control behaviors related to three vaguely defined (Neptune again) disorders: Attention Deficit Disorder (ADD); its hyperactive corollary, ADHD; and dyslexia. Tragically, overworked teachers often pressure parents to medicate their children, to render them teachable. There’s no consensus on what causes these conditions, however—or, if they are really “disorders” at all. Viewing these conditions as Neptunian dysfunction makes sense. Afflicted individuals often have low self-esteem (perpetuated by poor school performance); they often need to interact intensely with their environment through their tactile (touching, handling everything), kinesthetic (constant motion), or verbal faculties (talking incessantly). In terms of vision therapy, such kids are stuck at an immature visual stage: They haven’t mastered the oculomotor (Neptunian) phase that allows them to use vision alone to learn more efficiently. Dyslexics are especially challenged in this regard. Astrologically, Neptune’s encroaching action (whether natal, or environmental) may crowd out the mental visions children might otherwise produce through reading and interacting with people and places. Hence, kids need to experience the world through other senses. Hard aspects between Neptune and the personal planets (particularly the Sun) may signal this condition. Seen from this light, these disorders have something in common with blindness and other sensory impairments. Intelligence is rarely the problem; being able to access that intelligence and use it effectively is another story. Considering the Sun’s connection with both Being and Vision, it would seem the less our visions of reality are mediated, the better. Direct experience is certainly a more positive use for Mercury-Sun. When the Messenger is unobstructed or distracted, he keeps our brain’s neural networks crackling nicely, interacting with our environment and forming our own point-of-view (our reality!). The mediated approach throws up barriers for Mercury. Repetitive media input creates well-worn neural circuits that literally occupy our individual points of view. These messages act on our brains just as the embedded journalists support the U.S. occupation of Iraq by managing public perception. Advertisers are well aware that incessant repetition of their messages is what sells product. The plot thickens. The Sun rules many things, but it is an inextricable Whole. An impairment to any of its capacities handicaps all its capacities. In light of this idea, an assault on a child’s vision-producing capabilities is serious indeed. For instance, if Neptune, through the media, encroaches upon our “bridge” to Spirit, how does that affect our ability to be self-reflective, to learn abstract concepts (Jupiter), to grow in wisdom? The developmental timeline and the natural order of the Solar system suggest that we need to master Jupiter before we can assimilate Neptune. Autism is an area worth researching in this regard. In my experience working with affected children, I have often sensed Neptune’s debilitating involvement. For starters, the typical withdrawn behavior feels Neptunian: the “I” (Sun) is elusive in lower-functioning autism. Also, impaired physical vitality (Sun) and dysfunctional vision are also often present. Like ADD- or ADHD-affected children and blind individuals, individuals with autism often compensate for confusing visual information by using other senses. Many people with autism are rigidly pattern-bound, developing photographic memories and feeling secure only when things stay exactly as they remember them. Saturnian routine and structure combat Neptune’s slipperiness. Visual impairments vary with affected individuals, but are known to include: over-reliance on peripheral (side) vision; poor binocular (two-eyed) vision (impairing depth perception and making eye contact disorienting); looking through, rather than at objects; an inability to fixate and focus on objects; and a tendency to visually sweep their environments from side to side, using the whole head, rather than eye movements alone. In turn, these impairments result in challenged hand-eye coordination and motor skills, “wandering eyes,” the inability to shift from near-focus to far-focus (say, in time to perceive a vehicle coming down the street), short attention span, and difficulties with socialization. Naming an object in the field of vision can be difficult for someone with autism, even if the person can point to its printed name. Seeing and knowing (perception) and verbalizing are all brain-related (Sun), but in neurotypical development, these three work seamlessly together. With an assaulted Sun, these functions are fragmented and erratic, at best. Is the media the actual assailant? For those born with autism, obviously not; as we will see, there can be plenty of natal challenges. Environmental factors such as toxins and the media could certainly contribute to or exacerbate the challenges, though. Since behaviors typical of ADD/ADHD and autism often surface during pre-school years—considerably after birth—Neptune’s media influence is also worth considering. Becoming immersed in an illusionary media reality (Neptune’s influence on perception) may do little to improve the isolation that often accompanies such developmental challenges. Clearly, vision involves more than perception. We must also understand or comprehend what we perceive. 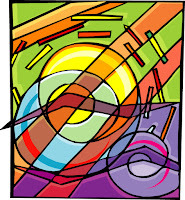 Comprehension is a complex phenomenon involving several areas of the brain and the optical system. Astrologically, Mercury and Jupiter are implicated, as rulers of the Gemini/Sagittarius polarity. Mercury is thought to govern the “lower” functions of understanding such as concrete, linear thinking, simple analytical functions, “mapping,” step-by-step problem-solving, etc. These left-brain skills allow us to survive in our everyday environments—the province of Gemini and the 3rd house. The “higher” functions of understanding are relegated to Jupiter, ruling Sagittarius and the 9th house. Jupiter interprets and critically analyzes information, deals in abstract concepts and strategies. To Mercury’s “physics,” Jupiter provides the “metaphysics.” Mercury says: Show me! Jupiter observes, reflects upon what is seen, thinks in terms of the Big Picture, forms beliefs and strategies, using the “inner vision” characteristic of the oculomotor stage of development. Jupiter’s influence spans both left and right hemispheres, it seems. This makes sense if we consider Jupiter’s rulership of both Sagittarius (abstract analytical, interpretive) and Pisces (holistic, imagistic). In fact, the entire mutable cross seems implicated in our two-sided brains (Fig. 2, above): the Gemini-Sagittarius polarity accounts for Mercury and Jupiter’s joint rulership of the left hemisphere; Virgo-Pisces accounts for Mercury, Venus (exalted in Pisces), Jupiter, and Neptune ruling the right. As mediator and coordinator, Mercury and Uranus have their say, ruling the connective corpus callosum. 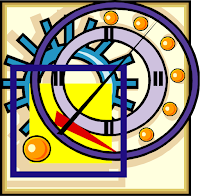 Astrologically, anything affecting one sign in a cross affects them all; physiologically, both brain hemispheres must work together smoothly for effective vision and understanding to develop. This seniority mirrors the importance of beliefs to vision. Not surprisingly, Saturn plays a role, as well, working hand-in-hand with Jupiter. 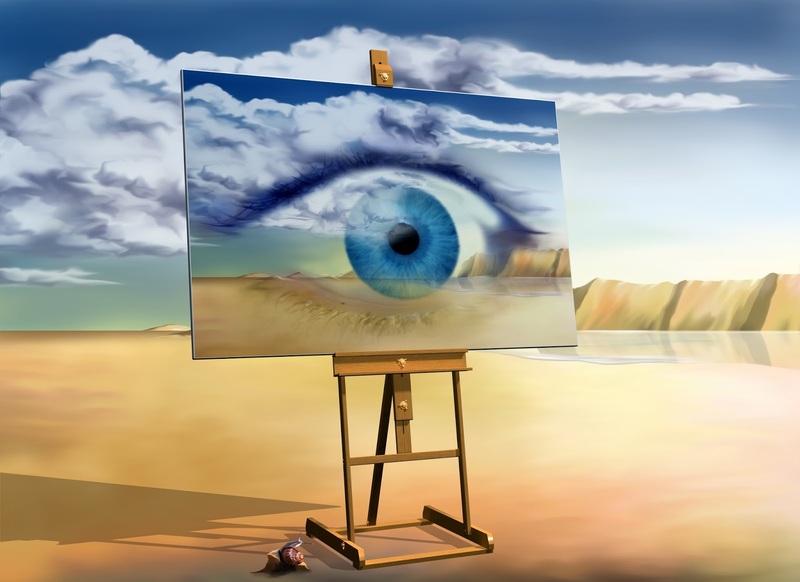 Through a visual/brain mechanism known as suppression, our brains can override what our eyes tell us is real, with what we believe to be true. In other words, we really do see—as the Bible said—what we have “eyes to see.” In optical terms, suppression (Saturn) is the brain’s way of settling discrepancies between what the right and left eyes report to it by simply blocking one eye’s information. Implying a value judgment (Jupiter), this explains how Saturn and Jupiter help socialize us. “Managed information” may take on different forms, but it all amounts to support (Jupiter) of one point-of-view, at the expense/suppression (Saturn) of another. Despite the cliché, seeing is not necessarily believing. The film What the Bleep Do We Know? cites Caribbean natives who could not see Columbus’s ships on the horizon, because they had no beliefs or experience to validate the sight. The real was literally suppressed, until a shaman sensed what was happening. Intolerance may also have some roots here: a strong suppression mechanism may neurologically block a person’s view beyond his/her beliefs. In extreme cases, Pluto probably plays a role, as well. Individuals with strong Jupiter, Saturn and/or Pluto influences often hold unassailable beliefs and opinions; unfortunately, delusions may follow. Anorexics, for instance, often have body image issues—“seeing” themselves as fat, even if they are actually emaciated. Singer Karen Carpenter’s natal Jupiter (Chart 1, above) is a case-in-point: Ruled by insecure Uranus in Cancer, her Jupiter is tightly conjunct Mercury, opposite her Moon/Pluto (body/emotions) conjunction, and trine Neptune. Interestingly, her Chiron (21° Sagittarius) is sextile to and ruled by Jupiter: She was both wounded and celebrated. Clinching it all, Carpenter's sensitive Pisces Sun (co-ruled by the delusion-prone Jupiter-Neptune trine) was indeed “assaulted” by an opposition from driven, perfectionist Saturn in Virgo and by tri-septiles with both Mars and Pluto. Optometrists, unconcerned with delusions, work to counteract (through corrective lenses) our blurred focus—a Neptunian challenge. Visual acuity (the ability to clearly see what we point our eyes at from a standard distance) would seem to be the domain of Mars and Saturn. Clear focus depends upon effective oculomotor muscles (Mars-Mercury; nerves are responsible for signaling the muscles when needed) and an appropriately refracted lens (Saturn). Intent (Mars) sets the whole process in motion; when therapy is needed, disciplined effort overcomes Neptune’s undermining tendencies. This was the experience of “Travis,” a teenager I worked with some years ago, whose autism co-existed with visual impairments, among other difficulties. His Aquarius Sun is under siege, exactly square Pluto in Scorpio (see Chart 2, below). Chart 2. Source: private conversation. No birth-time available. He was both withdrawn and often fearful, to the point of panic. His Sun is disposed by Saturn (20° Capricorn) and Uranus (8° Capricorn), with Saturn ruling the tight six-planet Capricorn stellium they inhabit along with Mercury, Venus, Neptune, and Mars. This much Capricorn could be difficult on its own; added here is a retrograde Jupiter-Chiron conjunction opposing the Capricorn stellium from Cancer. And, although Travis’s birth time was unavailable, the Moon’s movements that day suggest that it was likely within orb of his Cancer grouping. Moon opposite Mars-Uranus certainly fits the nervous, edgy demeanor I witnessed in him, not to mention the frequent stomach upsets he experienced. Travis had many of the vision problems typical of children with autism: He focused poorly, relying heavily on peripheral vision instead (Saturn and Mars both conjunct Neptune); he walked gingerly because his depth perception (Mercury) and balance were impaired (Mercury and retrograde Venus conjunct Saturn). Travis moved his whole head to visually sweep a scene; his hand-eye coordination was painfully slow, most likely because he was visually disoriented. Corrective lenses were inaccessible to him at the time; he couldn’t communicate well enough with the optometrist to be fitted for them (Mercury conjunct Saturn). For Travis, Saturn was both a problem and a remedy: by age 16—with daily prompting and practice—he had learned to read simple words and to develop awkward, but serviceable fine motor skills. Constant Saturnian effort was also needed to snap him out of Neptune’s imaginary world. His attention wandered easily, and sing-song repeating phrases (echolalia—in his case, often shouted) seemed to wash through his mind obsessively. Many of these phrases were clearly absorbed from various media and snippets of conversation. Neptune is conjunct 5 planets in his chart and opposite at least Chiron, if not the Moon, and it impacted his every step. Blindness also seems influenced by Neptune as well. Zecharia Sitchin, in his analysis of the Babylonian creation epic, the Enuma Elish, relates that the chaos of early creation (planetary “gods” vying for orbital territory, the Sun’s magnetic emissions threatening to destroy some planets, etc.) was quelled by Ea (Neptune), who “poured sleep upon Apsu” (the creator Sun). However metaphorical, this image certainly illustrates Neptune’s affect on a blind person’s vision—the eyes are often literally clouded over, as if asleep. 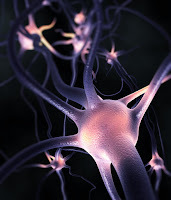 In neurological terms, this “sleep” means that visual signals are rerouted: “The visual cortex no longer receives sensory input from the retina through the optic nerve, and as a result the somatosensory cortex, which receives tactile input, invades areas normally dedicated to processing visual input. People who have been blind from birth often have an exquisitely sensitive sense of touch, particularly if they learn to read Braille while still young. The feel of the raised dots is processed in the visual cortex.” Mercury (ruling touch)—the Sun’s “counselor” Mummu in the epic—takes over the lead. Chart 3. Source: private conversation. No birth-time available. Blindness and brilliance often coincide in some walk of life. Some people even claim that blindness is not a handicap but an asset to some fields—an idea that deserves further exploration. The noon chart for “Lance” suggests a possible Neptune correlation with this idea (see Chart 3 above). Lance was a 13-year old boy at the time I worked with him, and he was both blind and affected by autism—a brilliant, budding keyboard musician. His chart features an interesting web of Neptunian influence: The Pisces Sun and Mercury are both ruled by Neptune, and a Pisces Moon is possible, though unconfirmed (no birth time available); Neptune is conjunct Uranus in Capricorn, and both planets are quintile Mercury—supporting effort-driven (Capricorn) brilliance. 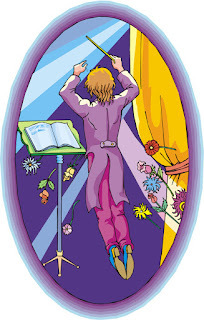 Jupiter in Virgo opposes Lance’s Sun, accounting for his higher-functioning (in autistic terms) capabilities. He read his Braille books and wrote on a portable Braille-writer with amazing facility. Saturn in Aquarius disposits his planetary duo in Capricorn, keeping him motivated; I was always hoping that Saturn conjunct his Aquarius Mars would constrain some unsafe, maverick tendencies (like taking off unattended). Interestingly, in light of his blindness, Lance’s Sun is not assaulted by adverse aspects. As noted, the Jupiter opposition (Jupiter co-rules the Sun) is probably more helpful than not; the Uranus sextile supports Lance’s very focused Aquarius stellium (which includes both Mars and Saturn). I fully expected that Lance would integrate a mastery of both technology and artistry in his music as he developed. Finally, no discussion of vision is complete if it neglects the faculties of imagination/creative visualization and psychic attunement: Vision, writ large. Those who consciously use these faculties are “visionaries.” They may be working in any field; the common thread is that they envision creative realities, and in doing so, impact humanity’s evolution. Appropriately, there’s often a strong outer planet dynamic operating. Such Vision is morally/ethically neutral, however: Adolph Hitler and Helen Keller (charts not shown) could both be considered visionaries. Hitler exemplified the dark side of his Neptune-Pluto conjunction: His Sun semi-sextiles this conjunction and Uranus sesquiquadrates Pluto. On the other hand, the chart of blind/deaf author and social activist, Helen Keller, features a Sun-Uranus sextile similar to Lance’s and a strong Neptunian influence: Her Pisces Moon is disposited by Neptune in Taurus, which is conjunct Chiron and septile the Sun in Cancer (some consider Cancer to be the sign of Neptune’s exaltation). This level of Vision can also be prophetic; eyesight is optional. Classical literature and mythology are filled with blind prophets—again, “sleep poured upon Apsu” by Ea (Neptune). George Lucas, director, producer, filmmaker and a visionary with enduring impact, is strongly rooted on earth with four Taurus placements (ASC, Sun, Venus and Mercury). Most of his films (especially the original Star Wars trilogy) have been space fantasies. Captured on film (a Neptunian art form), Lucas’s visions (Chart 4, below) are earthy, galactic, mythological and spiritual—all at once. Uranus in Gemini, rising after his Taurus Sun, disposits his Aquarius Moon, which is opposed by both Pluto and Jupiter in Sun-ruled Leo. Lucas’s vision of the “Force” and “Jedi Knights” evoked Eastern religion/philosophy, but his stories are basically cautionary tales about the right use of power (Jupiter-Pluto). He promoted a visionary ideal of galactic fellowship that resonated with his Uranus trine Neptune (Gemini-Libra). Star Wars (the first trilogy movie) was released in 1977, the year Chiron—the Teacher (among other things)—was discovered. With Lucas’s vision of a galactic future for humanity, perhaps this was no coincidence. Chiron trines his Taurus Mercury-Venus, with Venus dispositing his Taurus Sun. In the visionary individual, Sun-Chiron connections often mark a lifelong process of transcendence, to heal the painful dualities of good vs. evil, light vs. dark, and so on—the themes that pervade Lucas’s films. 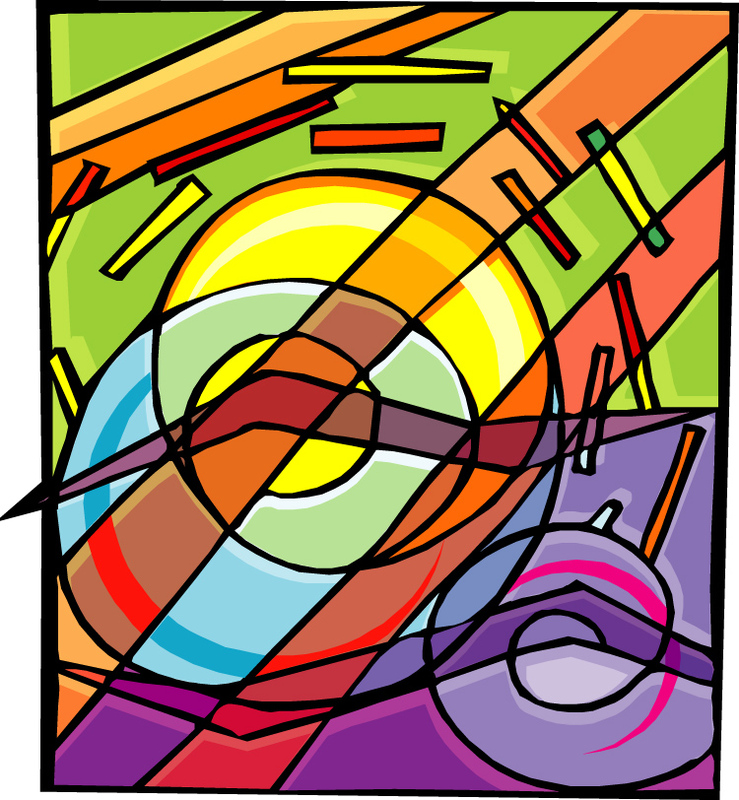 It is by this process that the Eye becomes single: Vision, learning and teaching converge. Raye is also available to read individual charts—contact her at: robertsonraye@gmail.com. 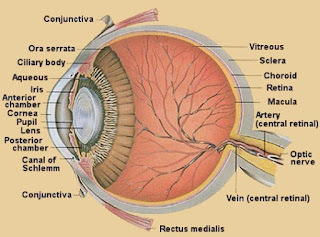 A helpful source of information on the intricacies of vision and its impact on learning can be found at: http://www.centerforvisionandlearning.com/. Dane Rudhyar, The Astrology of Personality, Doubleday, 1970, pp. 252-253. Strictly auditory learners are at a disadvantage when reading aloud is not appropriate. 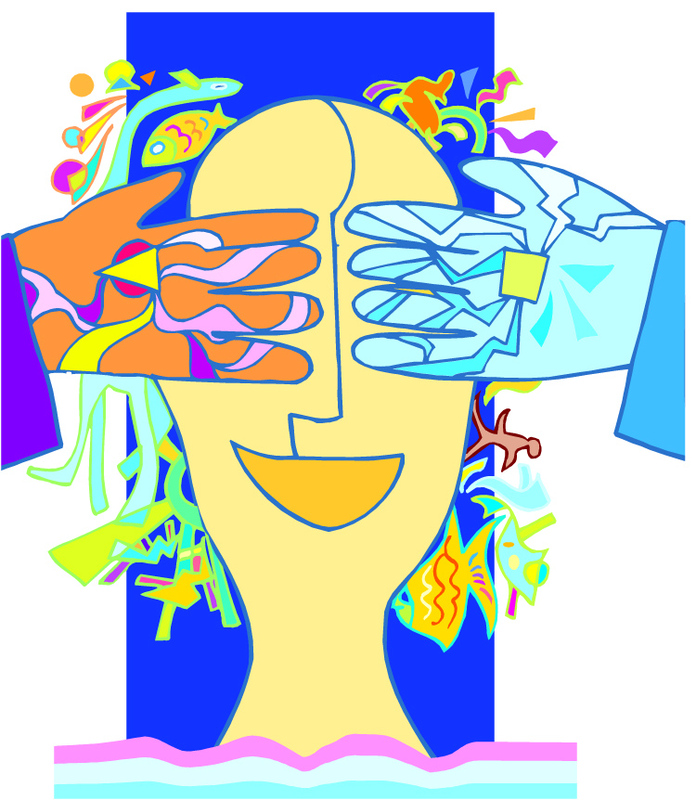 Teaching methods that acknowledge different learning styles (e.g., Howard Gardner’s “Multiple Intelligences”) try to compensate for this difficulty, but they overlook the vision deficit issue. Jeffrey Schwartz, M.D., and Sharon Begley, The Mind and the Brain: Neuroplasticity and the Power of Mental Force, HarperCollins, 2002, pp. 120-121. Jane Ridder-Patrick, A Handbook of Medical Astrology, Arkana (Penguin Group), 1990, pp. 17-18. See Ridder-Patrick, Medical Astrology, pp. 34-44, for more about planetary correlations with human anatomy and physiology. Whether or not these gender-biased rulerships say anything about the differences between male and female brains is beyond the scope of this article. Here, I am departing from Ridder-Patrick’s conclusion that Jupiter alone rules the left brain and Neptune alone rules the right brain: I set out my argument in the text. Ridder-Patrick, Medical Astrology, p. 18. William Arntz, Betsy Chasse, Mark Vincente, directors, What the Bleep Do We Know? Lord of the Wind Films LLC, 2004. Barry Levinson, director, Wag the Dog, New Line Cinema, 1997. Interview with Mel Kaplan, O.D., “Vision Therapy for ASD,” https://www.autism.com/treating_vision, Accessed 12/29/2016. Sir Patrick Moore, Firefly Atlas of the Universe, Firefly Books Ltd. (Canada), 2003, p. 94. 20/20 is the standard that optometrists use for acuity at a distance of 20 feet. Acuity is improved by using lenses that enhance the natural refractive powers of the eyes. Zecharia Sitchin, The 12th Planet: Book I of the Earth Chronicles, Avon Publishers, 1976, p. 217. Schwartz and Begley, The Mind and the Brain, p. 101.